The new technology allows SK Hynix to manufacture chips with a capacity of 32 GB, pushing the South Korean chip maker past Samsung and Toshiba, both still unable to supply 72-layer 3D NAND flash memory. SK Hynix has just managed to leave behind Samsung Electronics and Toshiba and became the first flash memory maker to develop a 72-layer 256 Gigabit TLC 3D NAND chip. Its two rivals are still in the 64-layer area, Samsung shipping such chips already, while Toshiba still has to begin shipments. According to Hynix, the new chips "have 30 percent higher production rate compared to the 48-layer and stacks 1.5 more cells to increase memory capacity. Reading and writing speeds are 20 percent higher." The company moved fast since last year, when they introduced 36-layer 128 Gigabit 3D NAND in the second half, followed by 48-layer 256 Gigabit in November. 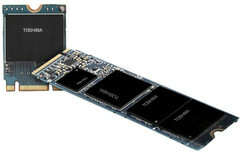 The new technology allows Hynix to improve the storage solutions offered to new handsets and solid state drives, also helping the company to remain a key player in this market. Research firm Gartner thinks that 3D NAND usage will reach the 66 percent mark in 2018, up from less than 19 percent last year. The entire NAND flash market is estimated to jump from around $46.5 billion this year all the way up to $56.5 billion by 2021.